POHAKULOA TRAINING AREA, Hawaii – Army officials are opening the Keamuku Maneuver Area (KMA) for bow hunting, here, Feb. 27-28. KMA be open for bow hunting of pigs and goats only, from 6 a.m. to 6:30 p.m. In the interest of safety, entry into recently burned areas is not permitted. If hunters see any suspicious activity, they should call police/fire immediately. 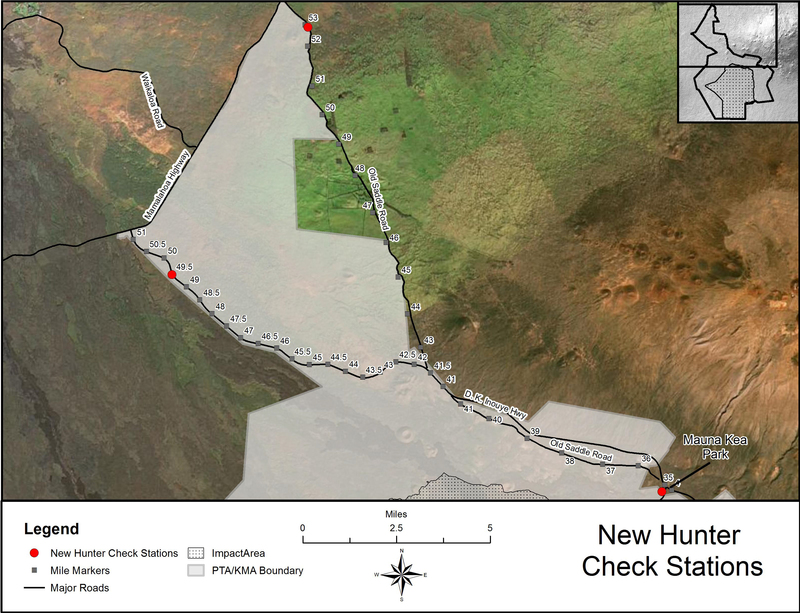 Hunters should review access information at check in stations, as some entry points may not be available due to the fire. Access to KMA is by foot only, hunters should park in designated parking areas.